Dock owners sometimes go to a lot of work to auger a long post way down into heavy muck. Although this is not permanent like our Bigfoot system, it is a slightly more economical option, especially if you already have the bottom plates. By clamping a *211 bottom plate(optional)a few feet from the bottom of an existing post and one of our heavy 2X2 FT treated muck boards right underneath, it is often much easier just to “jam” it down into the muck. The board will stop it from going too far. This in turn can allow you to use a shorter post saving you money and back breaking work. Adding the *102 clamp (optional) to the bottom can keep the board from coming off during removal. 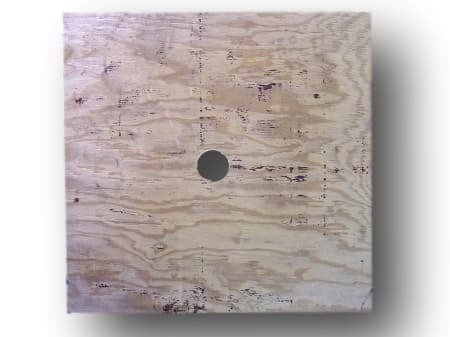 Item only includes the cut and drilled 2X2 FT treated board. The bottom plate and #102 clamp have to be purchased separately.